It was with mixed feelings that I crossed the threshold of Soderberg, the new bakery shop on Queensferry Street from the folks behind Peter’s Yard. I’d loved the previous occupants, Hernandez & Co, but life moves on, I suppose. 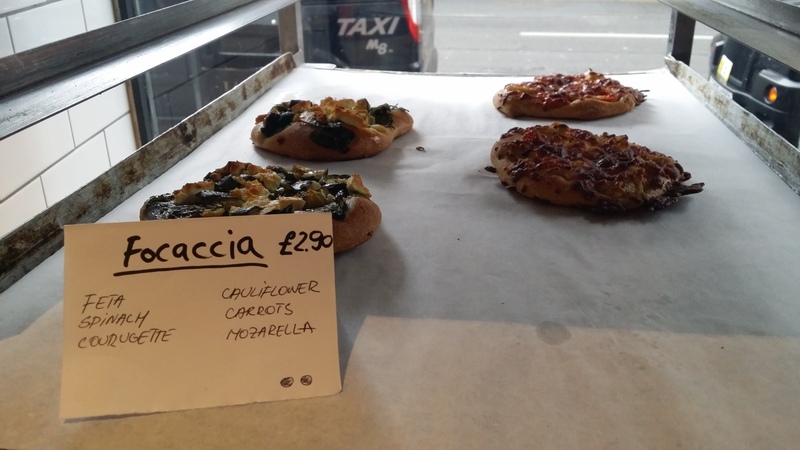 A little takeaway counter shop, the place is full of wonderful treats, as you might expect. Aside from the heady aroma of cardamom from their excellent buns, there was much bread and cake goodness in evidence. I liked the look of a tray of focaccias, with the cauliflower and carrot topped one particularly tempting. To that I added an espresso, as is my usual way. Their Artisan Roast espresso was served short and punchy, as it is at the Peter’s Yard mothership. It was very good. 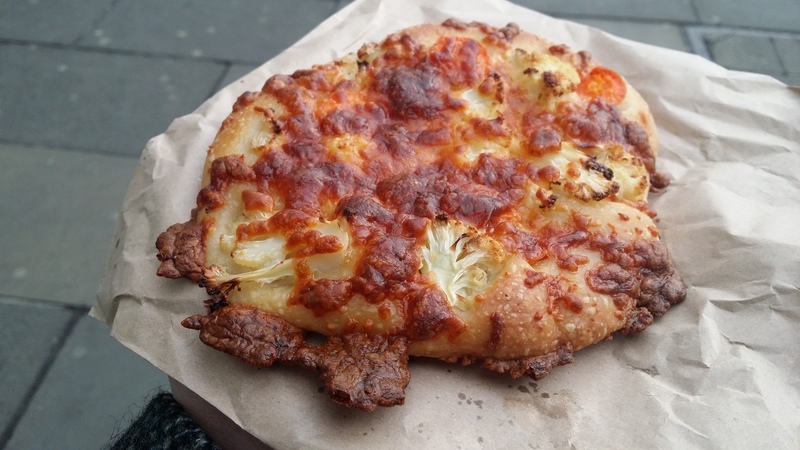 The focaccia proved a tasty feed, too, with lovely sweetness from both the carrot and the cauliflower. I enjoyed it, muchly. 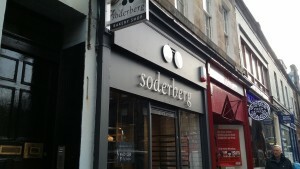 So overall, Soderberg is definitely one to add to your list for a visit. It’s rather dangerously on my route between home and the office, so I’ll need to take steps to avoid an excess of cardamom bun consumption. It’s really good to see another quality coffee purveyor in the West End, too. I look forward to popping in again soon.